Kate Cunningham helps clients to successfully deliver major mixed use regeneration projects and development opportunities. This includes advising the public sector and private sector on the initial land assembly, choosing a delivery partner, structuring, putting in place the appropriate framework documents for the project and continued advice throughout the lifecycle of the project. Kate advises private and public sector clients in all aspects of development and regeneration work. She joined the firm as an associate in 2014, having qualified in 2007 at Herbert Smith Freehills LLP in the property team, specialising in development, sales and purchases and railway matters. Kate enjoys working with land owners to deliver complex development and regeneration schemes. Advising the London Borough of Barnet on the £4 billion regeneration of Brent Cross Cricklewood, which is one of the largest and most complex mixed-use regeneration schemes in Europe. The firm won Real Estate Team of the Year jointly with Hogan Lovells, for their work on the project. Working with London & Continental Railways to put in place the infrastructure required for the Olympics and joint venture for the International Quarter. The workstreams were extremely complex with tight deadlines and many stakeholders involved. Kate says that it is satisfying to walk around Stratford and see the projects that she was involved in being built out and the area evolving. Clients within the rail sector, private sector developers, funds, local authorities and public sector. The London Borough of Barnet on the regeneration of Brent Cross which provides an opportunity for the Council to transform Brent Cross by the redevelopment of the shopping centre, construction of new homes and offices as well as three new schools, parks, community facilities and a new Thameslink station. The advice includes the procurement of a development partner and all related property, planning and infrastructure advice. Transport for London and London Underground Limited on protection of their infrastructure and a number of their commercial development projects. Dealing with concerns in balancing the requirement to protect the infrastructure and ensure the safety and operation of the railway, the interest of the landowner in protecting its return and residual interest in the asset but providing flexibility for the developer to allow the development to proceed. London & Continental Railways in connection with its development strategy for its land at Stratford and putting in place the infrastructure for the Olympics. 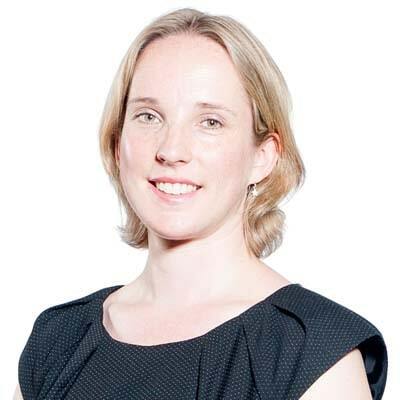 Post Olympics Kate was the lead associate in dealing with the property aspects of setting up a joint venture company between Lend Lease and LCR to develop the International Quarter as part of the regeneration of Stratford. London & Continental Railways on its negotiations with Network Rail and Docklands Light Railway concerning the railways and stations at Stratford. Rockpoint on managing its portfolio at Devonshire Square and its sale of Devonshire Square for £330 million to Blackstone Group. Blackstone Group on the management of Chiswick Park after its purchase and subsequent £600 million refinancing of Chiswick Park, London.